The patio is quickly becoming the new hot spot to decorate. A great way to start decorating any room, is from the ground up. It’s the same with your outdoor living or dining room, and there is no shortage of fun and fancy rugs that will weather the elements. Check out this line called Mad Mats, available on outdoorrugsonly.com. You can feel good about your purchase, because they are made from recycled plastics. Super affordable too. So many great styles, here are a few to get you brainstorming about creating your cozy respite with nature! 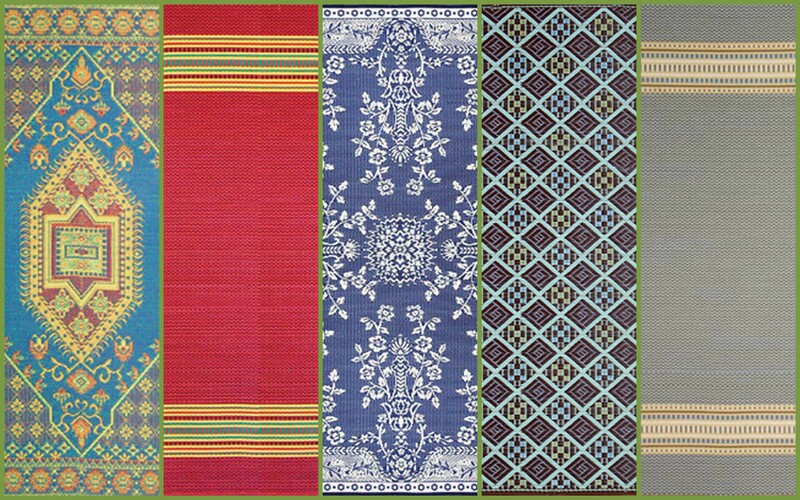 Just a few of the great variety of Mad Mats outdoor rugs.